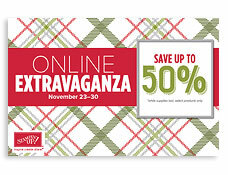 The big annual extravaganza sale begins tomorrow, Monday November 23rd (midnight MT/2am EST)! Sale prices are 20-50% off select items (while supplies last). 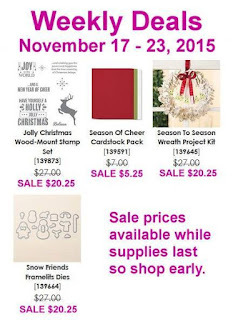 Sale ends on November 30th. Even though it's called the online extravaganza sale you may also place orders directly with me to receive the sale price. If you do place an online order, please use hostess code 3HQ4EHHB (if your order is over $150 contact me first). Click here to shop my online store now! The first Monday (11/23) and last Monday (11/30) of the sale will feature 24-hour flash sale specials. All sale items are while supplies last so don't wait to place your order. you can order the select paper pumpkin kits and refills on the sale list even if you aren't a paper pumpkin subscriber! We're saying goodbye to retiring products from the 2015 Holiday catalog; but there is still time to order your favorites. 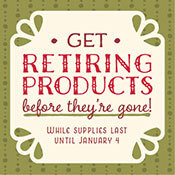 Retiring products will only be available until January 4 (while supplies last) so order them before they're gone! 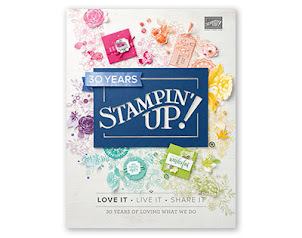 Contact me for a copy of the retiring products list. New deals! 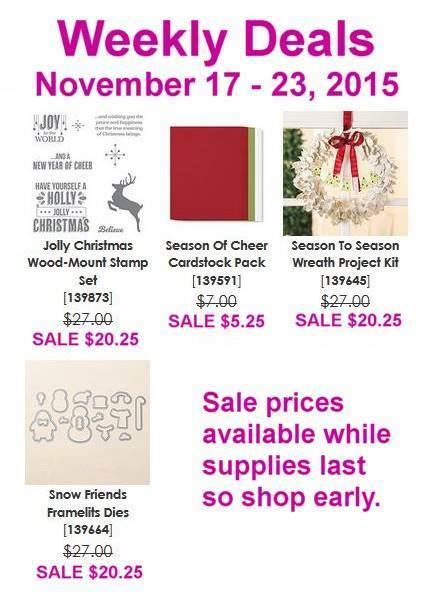 These items are on sale through Monday November 23rd. New items revealed every Tuesday. Click here to go to my online store. December 10th, Thursday, 7 to 9pm, Tin of Cards kit class; this kit, featured on the front of the annual catalog (full kit details on pg 152), makes 16 cards and includes the tin! I'll supply the stamp set and inks; cost is $35. RSVP and payment due no later than November 30th. This is the perfect gift!